Narratio’s upcoming Powerless has a compelling pitch. It’s advertised as an “interactive doomsday simulator,” and its goal is to put the player into realistic life-and-death situations to see how they would react and whether they could survive. 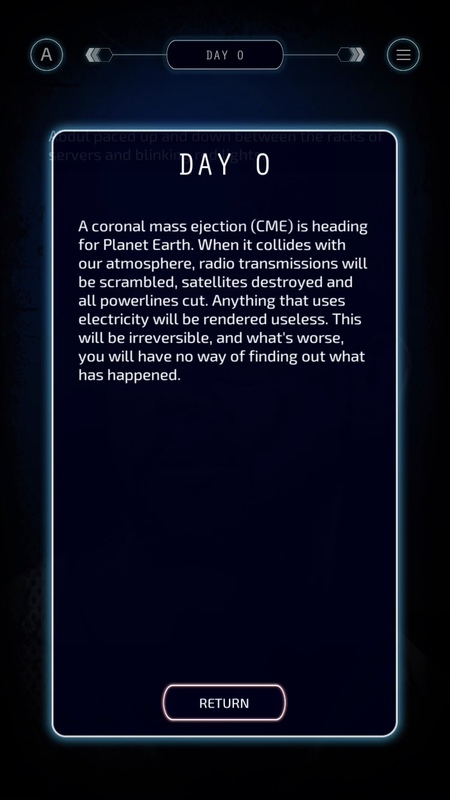 You play as multiple different characters as they try to make it out alive after a coronal mass ejection (CME) kills all power on Earth, causing mass destruction. 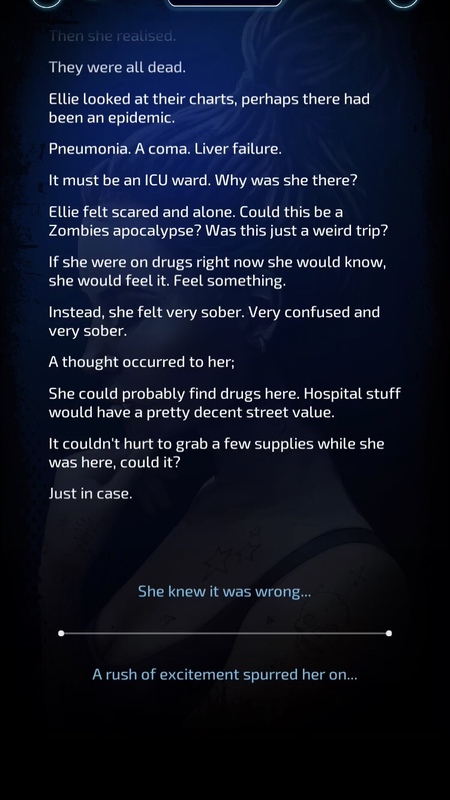 Each character comes in with their own unique personality as well as skills that dictate what they can and can’t do in an emergency. I got the game ahead of release and spent some time with it, so far only playing through one day with several characters. 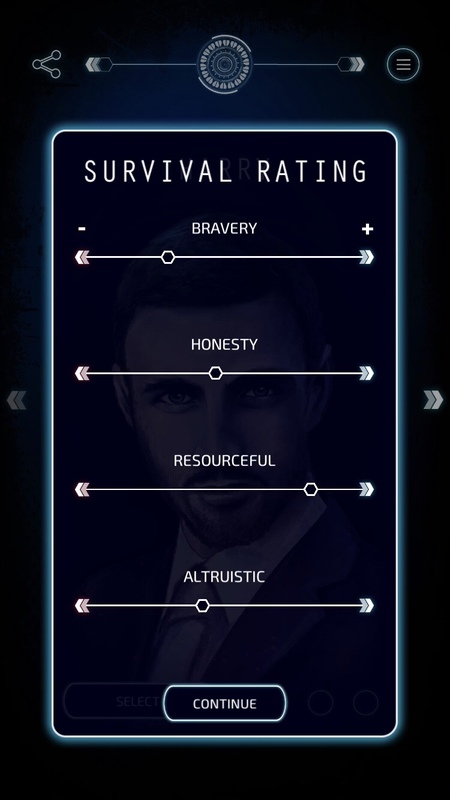 It’s a narrative choice-based game, so your survival comes down to a series of binary decisions. Do you stop to help a wounded man or only worry about your own skin? Do you call your family when you know this may be your last opportunity to do so? Or do you focus on simply staying alive? Do you help your friend who’s with you or just worry about yourself? For the first few characters whose roles I took on, I tried to play it safe, even if it meant being a selfish prick. Survival was key, so I looked out for myself and didn’t play a hero. It worked out well for me, as I survived each scenario fairly easily, but was branded a coward in most situations. The first characters I played were a Server Technician, a Financial Trader, and an unemployed woman with street smarts, so none of them seemed like they would be any good rescuing others anyway. Might as well just try and keep them alive, right? It wasn’t until I got to Jade that things started really getting tricky. 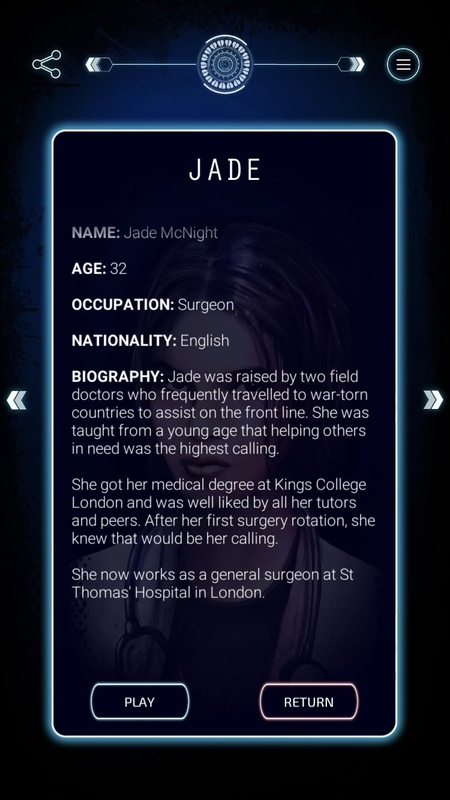 Jade is a surgeon in middle of cutting someone open when the power in her hospital goes out. Even the generators don’t work. That means no life support, no light, no nothing. Now she has a woman on the table to deal with as everyone is panicking. So I was finally playing someone with real responsibility who can’t just focus on her own survival. Suffice it to say, Jade died many times before I figured out how to save her, and it meant making a very difficult choice. If one of your personas dies, you can have another go at it and try to save them. But if you give up, they’ll be out of the game for good. I appreciate that there’s a sense of permanency if you fail, but you still have a chance to make things right. It gives you some leeway to take risks, but you still have to put in some effort if you don’t want to lose a character permanently. So far, the story is written well, keeping me engrossed instead of shaking my head at silly lines or grammar mistakes. I’m eager to play more and find out what happens to these characters as they struggle to survive in a world without electricity. I do want to try and see if I can keep them alive without being so selfish, though. In any case, I look forward to spending more time in this world and should have a proper review in time for release on August 23rd. But if you can’t wait till then, the game is available for pre-order right now.